Welcome to Scott's Pest Control - Providing full service pest control to Houston, Pearland, Alvin, Friendswood, Dickinson, Texas City, Santa Fe, Harris county, Galveston county, and Brazoria county. Buying a home may be the biggest investment you'll ever make. 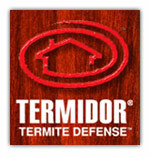 Protecting your home from unwanted pests is the first step in protecting that investment. Pest management has become a major industry in helping preserve the value of your home and health of your family.